Have you had a chance to visit Old Town? You should! 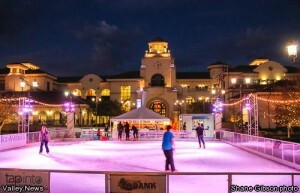 “Temecula on Ice” is still in full swing in Old Town Temecula at Main and Mercedes St. It is open every day until January 5th. Ice skating isn’t the only thing going on in Old Town. There are many more things for you and your family to do until the end of the year! Santa is going to be in Old Town until December 21st, and there is going to be a New Year’s Eve Celebration as well. Stop by Old Town and see why Temecula is one of the best places to live in Southern California. Want a home close to the action? Take a look at Sycamore Terrace apartments! Located just 10 minutes from Old Town, and 2 minutes from Promenade Mall, we really are the most centrally located community in Temecula. Come “Live the difference” at Sycamore Terrace!